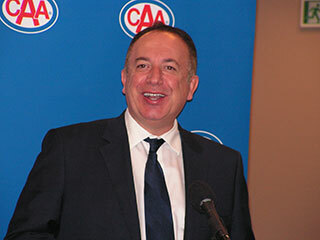 Vaughan Mayor Maurizio Bevilacqua spoke at the CAA store opening. 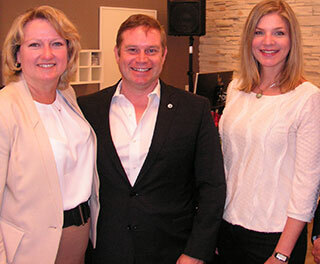 Dianne Jackson, CTC, Director, Travel & Retail Product for CAA Club Group (l) with Jeff Element, President, The Travel Corporation Canada and Candice Thomas, Manager, Agency Sales for WestJet. Tim Scott, CAA’s VP Customer Experience and President of CAA Manitoba (l) with Dianne Jackson and Donald Kaye, CAA Director Customer Experience. Steven Del Duca, MPP for Vaughan and Ontario’s Minister for Economic Development and Growth, welcomes CAA to its new home. When you’re the most trusted brand in Canada, you want to strut your stuff. So that’s exactly what CAA did early this week with the opening of a new retail location in Vaughan. The 115-year-old CAA recently won the trusted brand honour in the annual Gustavson Brand Trust Index, which ranks 299 major Canadian companies in 26 different sectors. 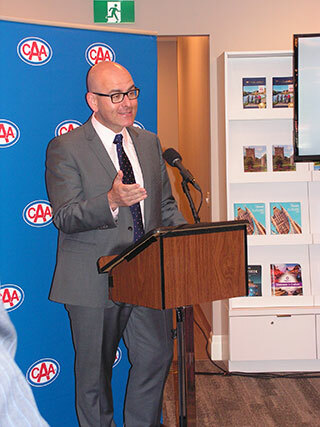 The automobile association, which has 2.2 million members in Ontario alone, placed second last year. In a process that began five years ago, CAA Retail is relocating or renovating 35 retail stores across South Central Ontario, representing an investment of over $20 million. More than $8 million has been spent so far, with 14 renovations complete. CAA says renovated stores have proven their worth with an average increase in foot traffic of 10-15%. The Vaughan location is something different – a brand new store – the first for CAA in Ontario in 20 years. It’s a booming area north of Toronto, with a population that has surged to 330,000. “If you haven’t built a location in Vaughan, you haven’t built one anywhere,” joked city Mayor Maurizio Bevilacqua, who was among several local politicians at the event, including several Vaughan councillors. Also present was Ontario Minister of Economic Development & Growth Steven Del Duca. 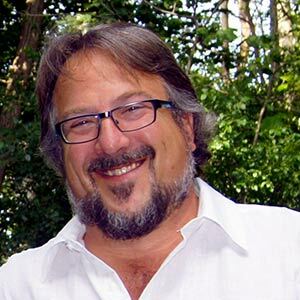 He represents Vaughan and as the former Minister of Transportation for the province is well-acquainted with CAA. The Vaughan store will be managed by Matt Appleton, who was previously a CAA store manager in Brampton. Dianne Jackson, CTC, Director, Travel & Retail Product for CAA Club Group, says the new retail concept is being embraced by Ontario CAA members.